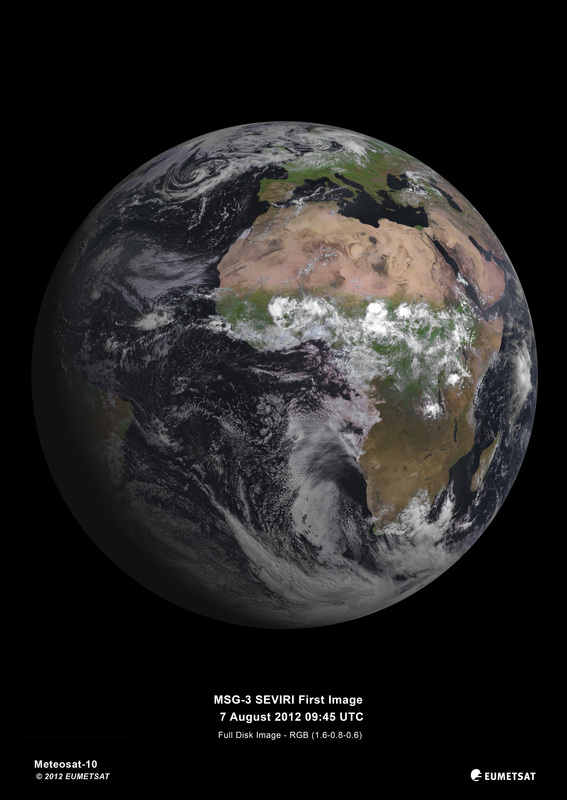 Europe’s latest geostationary weather satellite has captured its first image of Earth, and it’s a beauty! The Spinning Enhanced Visible and Infrared Imager (SEVIRI) instrument on the Meteosat Second Generation-3 (MSG-3) satellite was launched on July 5, 2012, and has since been in the commission stage. ESA says it will still be a couple of months before it is ready for operations. 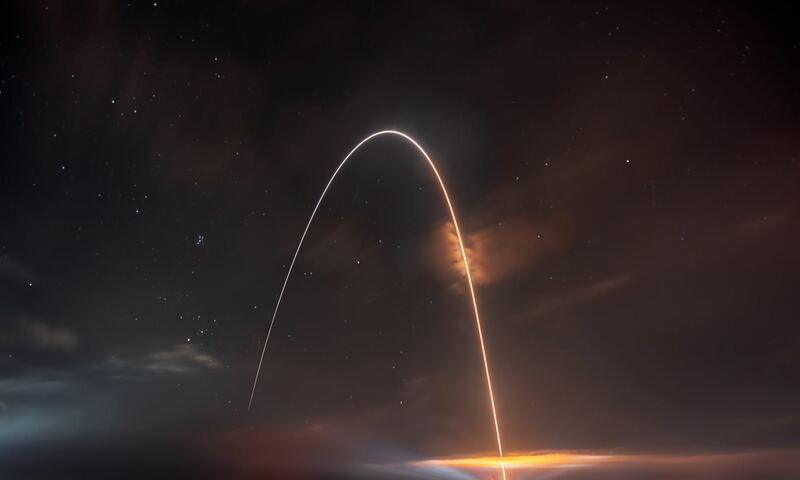 SEVIRI provides enhanced weather coverage for Europe and Africa in order to improve very short range forecasts, in particular for rapidly developing thunder storms or fog. It scans Earth’s surface and atmosphere every 15 minutes in 12 different wavelengths, to track cloud development. SEVIRI can pick out features as small as a kilometer across in the visible bands, and three kilometers in the infrared. MSG-3 is the third in a series of four satellites. In addition to its weather-watching mission and collection of climate records, MSG-3 has two secondary payloads. The Geostationary Earth Radiation Budget sensor measures both the amount of solar energy that is reflected back into space and the infrared energy radiated by the Earth system, to better understand climate processes. A Search & Rescue transponder will turn the satellite into a relay for distress signals from emergency beacons. You can see a high resolution version of the image from ESA here. What longitude is it above? Heavens Above says it’s 1.8 degrees north of the equator. Thanks, gentlemen, that’s what I was after. Is there an image like this that shows Australia? Are these single shots or multiple hundreds of images? I think I prefer the natural look of the original Apollo photos. Well, if you Tassie devils moved out form under the clouds … Anyway, if you want maps of Tasmania, just go look at some nudist sites ;-)) A Sandgroper. Is there a date for the photo? I always like to work out what I was doing when whole-earth shots are taken.